Treat yourself this week. You have money now, so you might as well spend it now. The stars say there really isn’t a good reason why you should spend it now rather than later, so just go with it and buy yourself something nice. You’re obsessed with candles, we know. But September has barely begun and you’ve almost burnt your living space to the ground, like, six times already. You need to find your chill before the weather does and the candle craze really becomes a problem. Your friends are missing you (assuming you actually have any friends). Step out of the library and into any kind of social gathering this weekend. Get a puppy. Even if you’re more of a cat person, the stars say a puppy is the way to go and now is the time to get one if you’re going to get one. Avoid asking too many questions this week because you actually really don’t want to know the truthful answer to whatever it is you’ve been wondering. It’s not a pretty answer. Pizza is your new best friend. One of your real friends will act like a jerk this week, but pizza will be there to help get you through it. You have weekend fever already. Good luck. It’s Thursday. So, we hear Taylor Swift and Tom Hiddleston have split. Now is your chance to live the dream — to become famous for dating a famous person. The stars say your odds of meeting either one look pretty good right now. Go get ’em, tiger. Cut it out. You know exactly what I’m talking about and you know the rest of us would appreciate if you’d kindly cut it out. 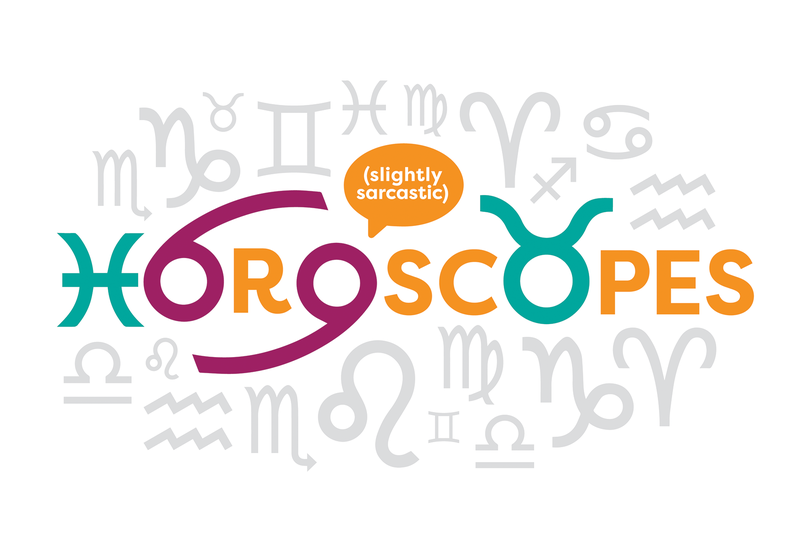 People will be very drawn to you this week — and the stars say to make a run for it. You’ll overextend yourself if you’re not careful because you have no self-control when it comes to saying no to hangout invites.